Why TourTrax? - TourTrax - Software for Digital Logs, Forms, and more. 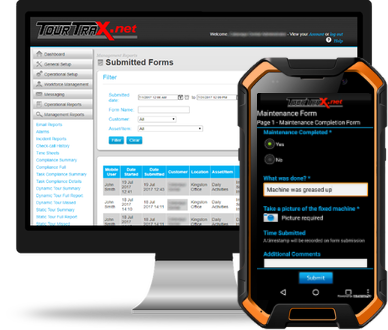 Designed and maintained by a team of experts specializing in workforce management, work compliance, and accountability, the TourTrax software platform is built for Mobile productivity! We keep track of what needs to be done. We keep track of who did it. We keep track of when it was done. If your workers are still using paper, TourTrax is for you!